2″ OD Heavy wall link arms have 1/4″ thick steel brackets at the axle with adjustable alignment cams and Fabtech’s legendary 5 Ton joints to pivot at the frame for an extended service life. The 5 Ton joints have been proven in military use for over 10 years and are quiet and strong. 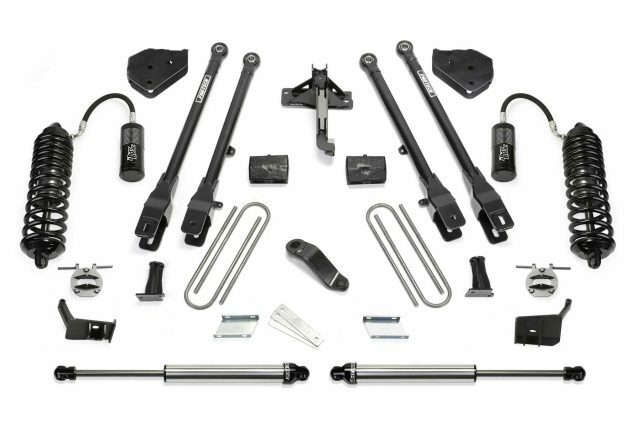 The 4 Link Arms attach to stout 1/4″ thick steel frame brackets for a solid mounting of the new suspension. Simplistic super stout 1/4″ thick steel brackets utilize the factory coil bucket to bolt in the big Dirt Logic 4.0 Coilover. 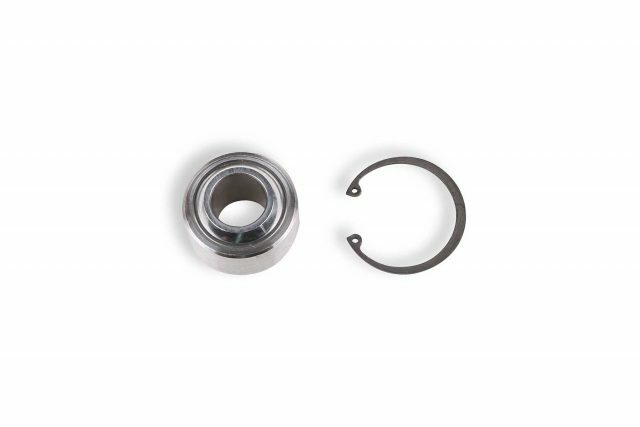 A massive 4″ diameter stainless steel body with 1.25 NitroSteel® piston rod for maximum corrosion resistance and durability for the most aggressive driving conditions. 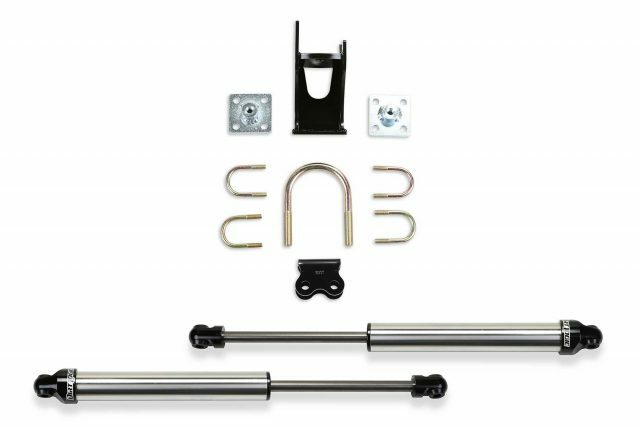 American made coil springs handle the weight of the F450 or F550 and provide a superior ride. The remote aluminum reservoir dissipates heat for continuous damping when driving over extreme terrain at high speed. 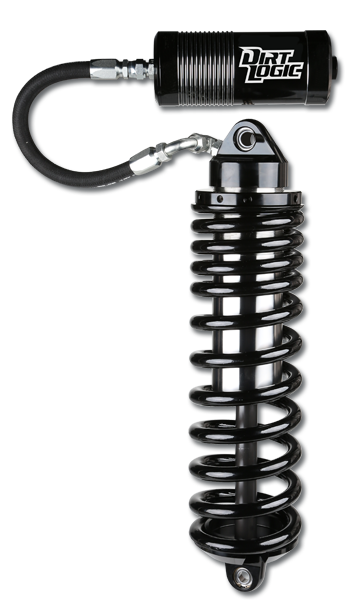 The pinnacle of all coilover shocks. 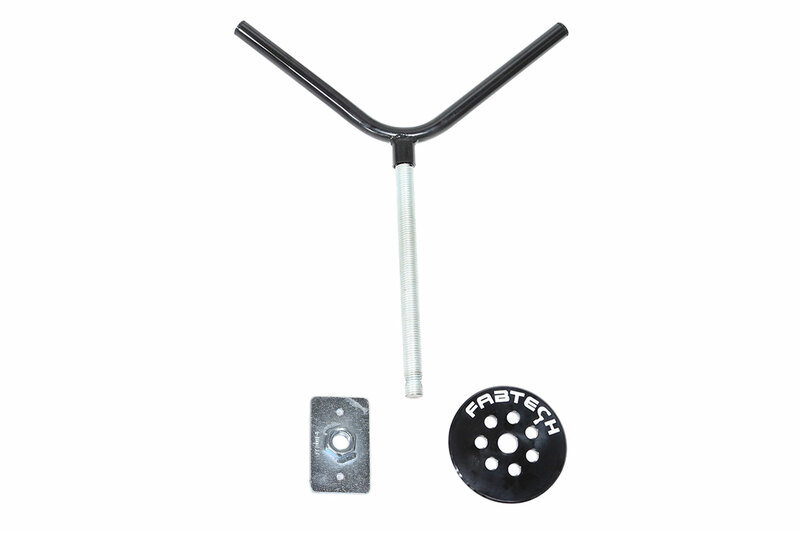 1/4″ thick steel bracketry re-positions the factory track bar to center the axle under the vehicle with the increased lift height. 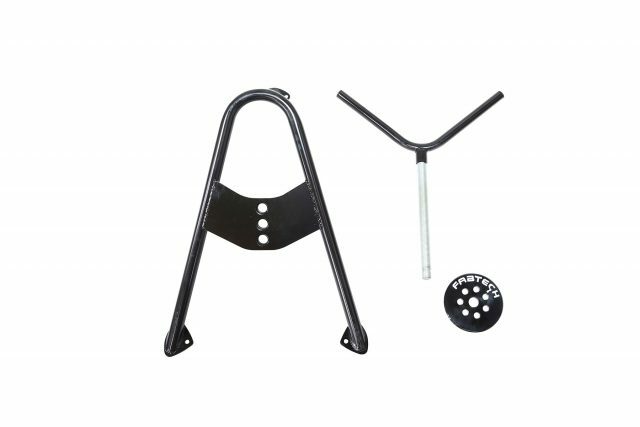 Super stout box style bracket is designed to eliminate deflection when the track bar moves through its full cycle.